Black Friday is definitely a global thing and since it is coming next week, ads are popping out on each corner. Nokia Health is also going to be reducing the prices of its products for “Black Friday”. They also organized a Twitter Giveaway to celebrate the holiday shopping season. What you should do to eventually take away one Nokia Health gadget, is to fill up the Black Friday deal wish list and re-tweet the Nokia Health’s tweet. When you subscribe to the Nokia Health newsletter you will receive the list where you can select all the Nokia products that you would love to see with price reduced up to 50%. 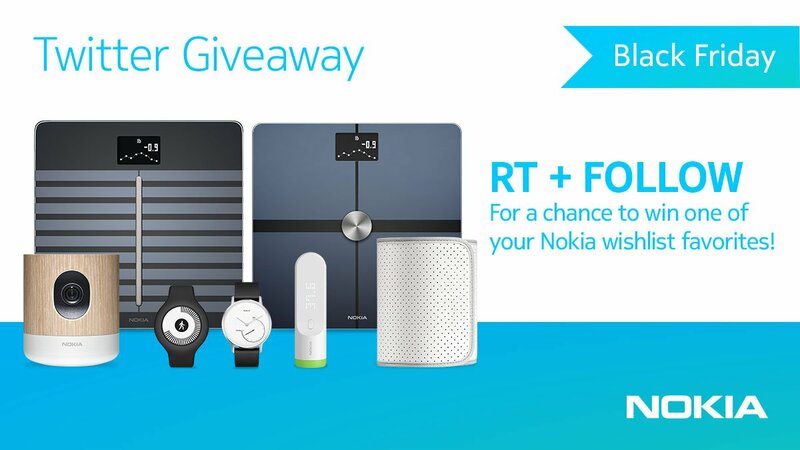 Nokia health will be picking one lucky winner on November 24, 2017. Sorry Joao! It's a new release, so it's unforunately not part of the Black Friday deals!